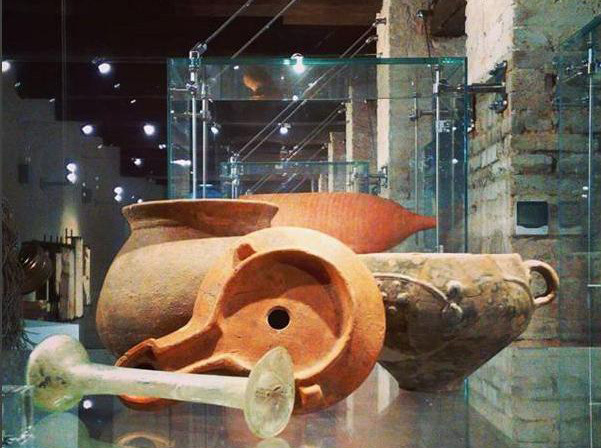 Visit Belriguardo Civic Museum to learn something about archeology, Renaissance, and modern art. 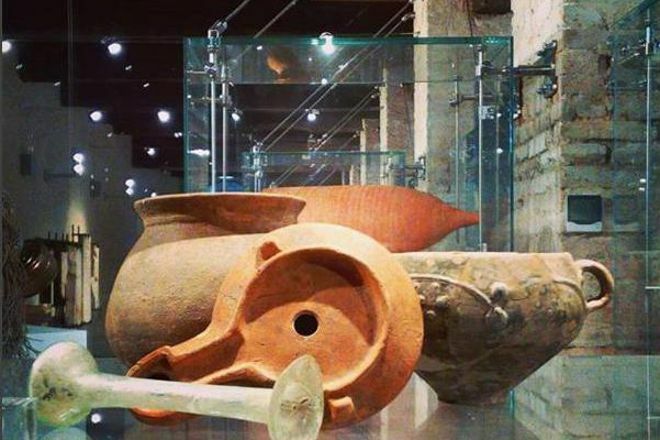 The exhibits include funerary items found in necropolis tombs, including scent bottles, amphoras, coins, bronze cups, and mirrors. Also exhibited, you'll see decorative lamps, ceramic vessels, and various jewelry. Check the website for various practical details, including opening hours and more. 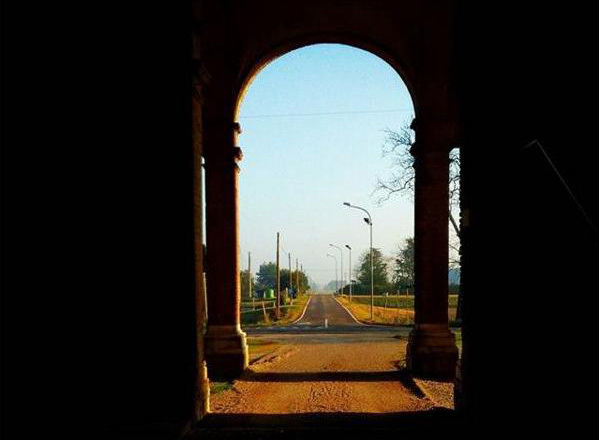 To visit Belriguardo Civic Museum on your trip to Voghiera, use our Voghiera tour itinerary app . Unfortunately remains very little of what was the first Versailles (it is from Belriguardo that it was copied), but worth a visit because the Guide/archaeologist who accompanies your visit brings to life with much interest what was the structure in its day Gold also hosted more than 3,000 when people were simultaneously with more than eight hundred horses in the stables. Unfortunately the grounds have been lost since ' 600. Don't miss the sala delle vigne! In addition a small Museum of Roman finds from the nearby necropolis of Voghiera. «... Not for what the world be manchato de voria come because I saw so much big house so beautiful et bene intesa et cussì ornata de picture excellentissime, I do not think that such a world--abia (Ludovico il Moro 1493, letter to Beatrice d'Este)» shame we could not see this beautiful summer residence through the eyes of Ludovico il Moro, however, although very little remains, the residence conveys a certain allure, especially if those who accompanies is Alexander, archaeologist/Guide, who takes us back in time with great skill, passion, irony, and told the few remaining rooms (striking the vineyard room) and various archeological finds preserved in the Civic Museum with an exhibition well set out. Thanks Alexander! On 5 August were in Voghiera, in the beautiful setting of villa Belriguardo, old summer residence of the Este family. All topped off by the music and by an intensely aromatic excellence: garlic I.g. p of Voghiera. Also worth visiting the Museum adjacent well organized, which collects artifacts from the Etruscan find near the villa, a vase-shaped amber dates, a small object gives you the idea of how much finesse and know was behind these findings. The beautiful model, located in the frescoed ceiling, only one left, reminds us of the splendor of the Este family and the summer villa when he was at the height of its splendour. A nice natural Theatre, where ancient and present history is intertwined. Sample the wines of tenuta agricola Pettyrosso; The vineyards, autochtones (Montesanto, Ferrara) will give you pleasant surprises. Every day, we help thousands of travelers plan great vacations. Here are some tips on how to use your Listing Page to attract more travelers to your business - Belriguardo Civic Museum. Promote your permanent link - https://www.inspirock.com/italy/voghiera/belriguardo-civic-museum-a8103322267 - on your website, your blog, and social media. When a traveler builds a plan from this page, the itinerary automatically includes Belriguardo Civic Museum. This is a great way for travelers looking for a great vacation in your city or country to also experience Belriguardo Civic Museum. Promoting your link also lets your audience know that you are featured on a rapidly growing travel site. In addition, the more this page is used, the more we will promote Belriguardo Civic Museum to other Inspirock users. For best results, use the customized Trip Planning Widget for Belriguardo Civic Museum on your website. It has all the advantages mentioned above, plus users to your site can conveniently access it directly on your site. Visitors to your site will appreciate you offering them help with planning their vacation. Setting this up takes just a few minutes - Click here for instructions.